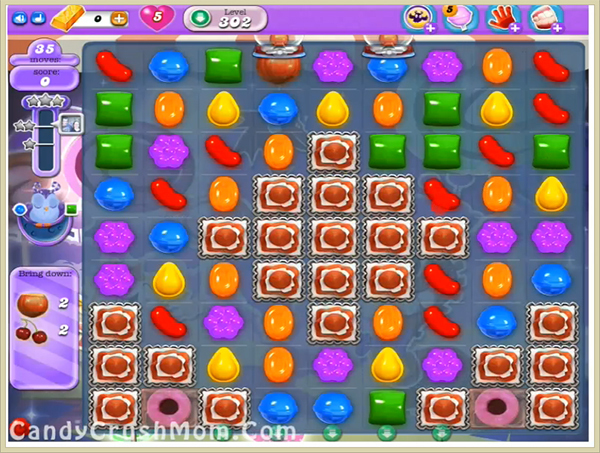 This level have normal difficulty and you need to use simple strategy to reach the requirement. For this level first try to break blockers as it wont break automatically by moon struck plus ingredients could struck on it. After try to make special candies and break them with balancing the Odus owl. After moonstruck use special combos with colorbomb or other special candy to take them all ingredients easily within 35 moves. We completed this level with 178040 score using same trick that we use above and got three star score plus reach requirement before five moves.